California Senator Loni Hancock (District 9) reports that 92% of respondents to her office’s survey oppose the proposed coal-export terminal in Oakland. The text of Senator Hancock’s newsletter follows. There’s a link to the survey at the end of the letter. Recently, my office sent out a survey about the proposed coal-export terminal in Oakland to ship coal to China and other Asian countries. I would like to share with you the feedback I have received so far. 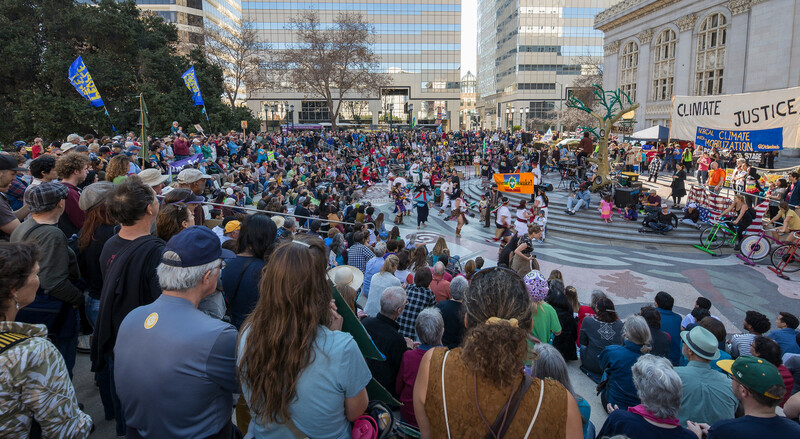 To date, more than 5,000 constituents have sent back their responses, and the results are clear: Oakland residents are overwhelmingly opposed to this Utah-supported plan. 92 percent of respondents of the six-question survey oppose a pending Oakland coal terminal, and 96 percent of respondents do not believe public funding should be used to pay for the project. Respondents also strongly believe that the health of the environment and of district residents and workers at the export terminal is a top priority, with 87 percent expressing concern for worker health and safety, and almost 54 percent highlighting the health of residents as a primary concern. Less than 5 percent indicated having no concerns about the proposed project. Close to 86 percent agreed that the City of Oakland should pass an ordinance to prevent coal from being imported or exported on to City property. Only about 6 percent indicated that creating jobs is more important than the environmental and health concerns associated with shipping coal through the East Bay. In February, I introduced a package of bills to address health and safety concerns regarding the coal project and prohibit the investment of California public funds in new coal facilities. Shortly afterward, the Utah Legislature in eight days approved spending $53 million to help build the terminal. Two of my anti-coal measures last week passed initial policy committees and are awaiting fiscal review. Thank you to all who took the time to send back their surveys and weigh in on this important issue. If you haven’t yet done so but would still like to add your voice, please click here to fill out the online version.